The tendency of young children to touch everything has been known to get them into trouble, particularly in stores filled with breakable items. But could children’s habit of touching everything also pose a health risk? New research suggests the answer may be yes. In a new study, researchers from Cincinatti Children's Hospital Medical Center and San Diego State University found that kids are exposed to nicotine on their hands just from coming into contact with items or surfaces contaminated with cigarette smoke residue. The study is the first to show that children’s hands can accumulate high levels of nicotine even when parents aren’t lighting up around them, said co-investigator Dr. Melinda Mahabee-Gittens. The study involved 25 children who ended up in the hospital for reasons believed to be related to secondhand smoke exposure. Researchers found that all 25 children “had detectable nicotine levels on their hands.” All of the kids monitored in the study had parents who were smokers. "Parents may think that not smoking around their child is enough, but this is not the case,” said Mahabee-Gittens, a physician in the Division of Emergency Medicine at Cincinnati Children's Hospital. “These findings emphasize that the only safe way to protect children from smoke exposure is to quit smoking and ban smoking in the home,” she added. In addition to finding a “significant” amount of nicotine on kids’ hands, the research team found that all but one child tested positive for cotinine (an alkaloid found in tobacco) in their saliva. Exposure to these contaminants can lead to health problems like ear infections and asthma attacks in children and infants, according to the Centers for Disease Control. To further explore how much secondhand or thirdhand smoke contributes to children’s overall exposure to tobacco, researchers are following up the pilot study with an analysis of data collected from more than 700 additional children. 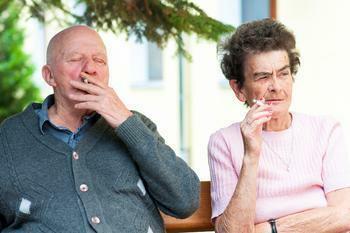 The full study is published in the BMJ journal Tobacco Control.